5. Would we have diesel instead? Update 1: Why the Volvo V90 T8? We love a Volvo. 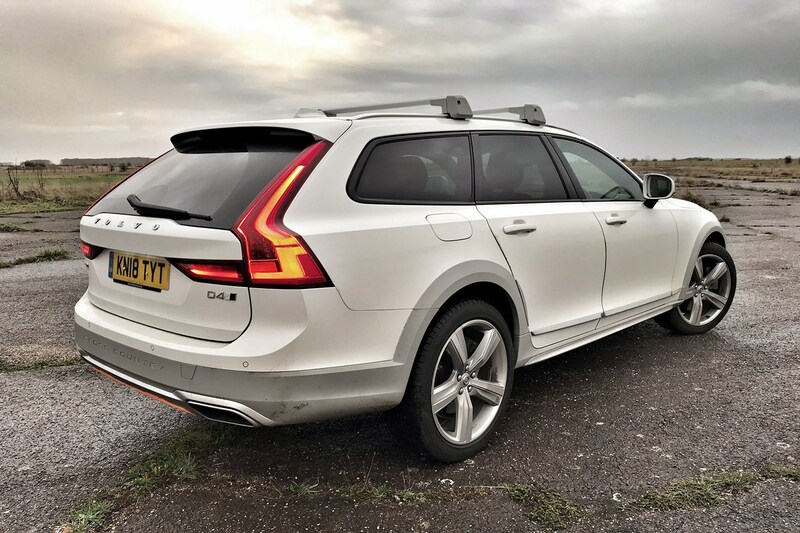 Ever since the current Volvo XC90 went on sale in 2015, each subsequent new car launched by the Swedish company has looked sharp, been gorgeous to sit in, and has been dripping with desirability. In short, Volvo's transformation into a premium car manufacturer has been swift and confident. 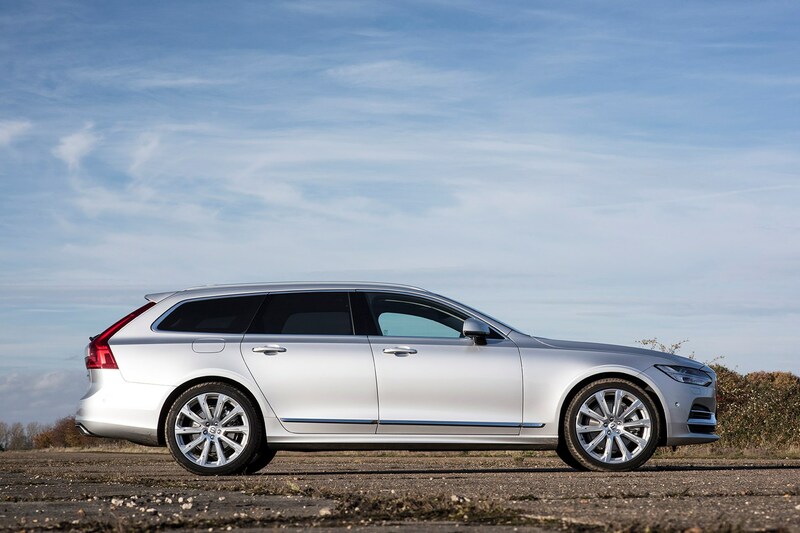 The Volvo V90 followed a year after the XC90, a full-sized estate car aimed at the BMW 5 Series Touring, Mercedes-Benz E-Class Estate and Jaguar XF Sportbrake. And more pertinently, it's the modern incarnation of the sort of car that made Volvo famous – the full-sized family esate car that's packed with safety kit. We'll be running this car for the next 8,000 miles in order to ascertain if this Plug-in Hybrid Electric Vehicle (PHEV) delivers anywhere near the claimed fuel consumption. Or whether it's simply set up as a high-performance car, with 400hp, and we should consider it that way only – and not as some kind of eco champion. First thing to say when weighing up the case of our V90 T8 Twin Engine Inscription Pro, is that it's hardly family-car priced. As the company's flagship estate car, it comes in at a whopping £60,055 (at the time of writing), and with a 0-62mph time of 5.3 seconds, and a maximum speed of 155mph (numbers that don't flatter it), this is a hybrid car with bags of usable performance. We'll talk PCP and PCH finance options in a later update, but it's worth noting that Volvo is keen to do a deal on the V90 range, so don't conclude that just because there's a high ticket price, it doesn't stack up in the monthlies. What do you get in a £70,000 Volvo? Hold your horses there. You say £70,000? In the case of our T8 Inscription Pro, absolutely. But only because we've plundered the options list to hike the price as tested to £69,405. We'll describe the options in a later update, and let you know whether they are worth it or not, both in terms of functionality and how they should affect the resale value of your car. So, not only is the V90 fast, cheap to tax, and potentially cheap to fuel if you keep it plugged in and don't have too long a commute, but it's stacked with kit that should keep the audiophile gadget fan more than happy. Is the Volvo V90 T8 a unique proposition? So, the big question is whether it's a PHEV with loads of power, or a performance estate car that just happens to need to be plugged in. I suspect my typical usage pattern will reflect most T8 owners – a 32-mile round-trip for the weekly commute, combined with lots of longer weekend trips. This will challenge the idea that a PHEV can be run effectively over short distances as pretty much exclusively as an electric car, but with the ability to go long distances powered by petrol. What we've found in the first few hundred miles is that the longer trips pull down the average quickly – early results are an average of 29.0mpg over three trips north. 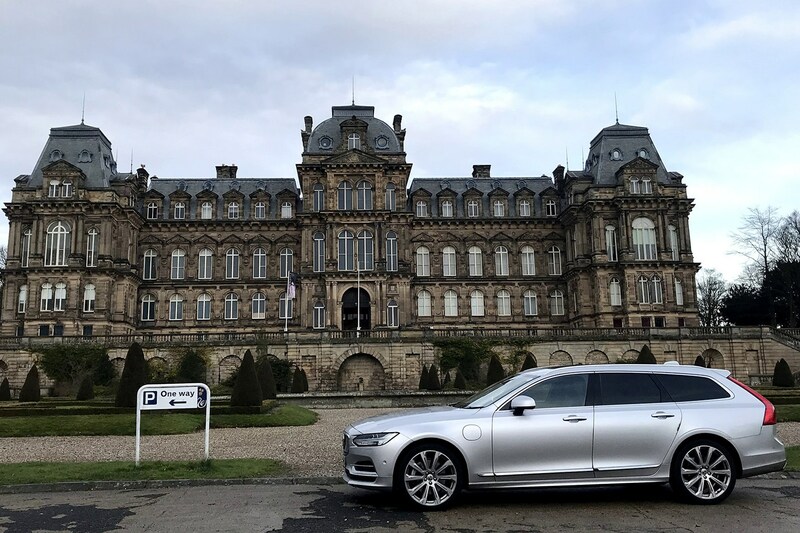 It's interesting that although we haven't had the V90 very long, it has already impressed in its ability to cover long distances without breaking a sweat, and deliver impressive fuel consumption on the commute. It can't really do both at the same time, which is something we will get back to when answering the original question of why we're running this car. 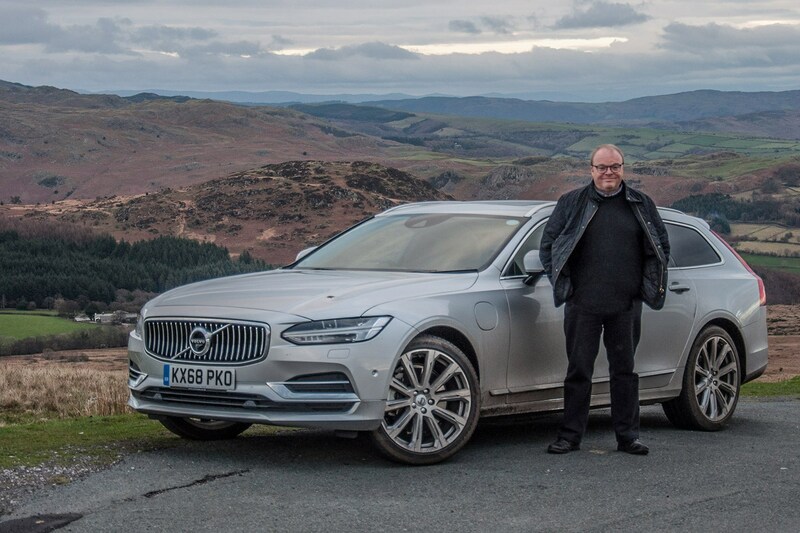 I suspect that in the longer term, my own view of the Volvo V90 would differ from this in one important way – the rewarding driving experience that you get with the V90 is anchored in its refinement, long legs, and calming demeanour. We shall see as the miles pile on, but early impressions are that this is a car that appeals to the more mature driver who appreciates taking a measured approach to life. That it has 400hp to play with merely adds to the effortlessness of the experience. Autonomous driving: are we there yet? Of course we're not, and Volvo doesn't claim that we are. 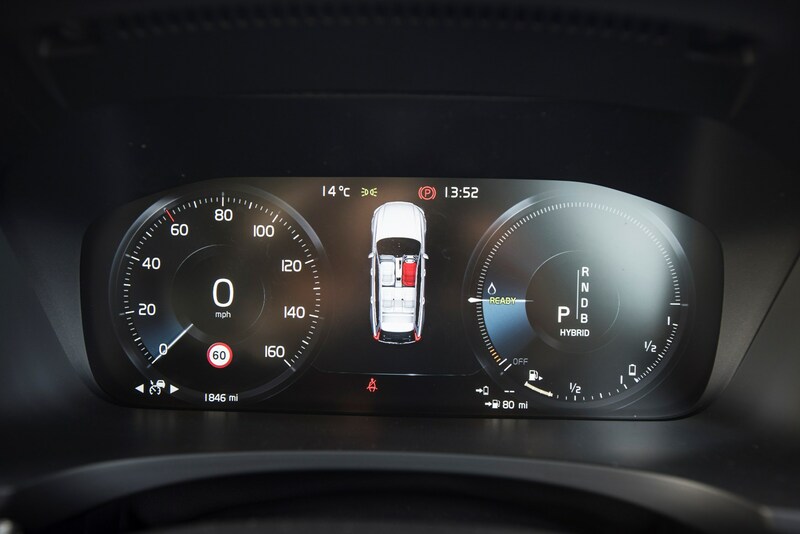 But it's interesting that the V90 range as a whole gets its amazing Pilot Assist system as standard (a fact worth crowing about, as most rivals keep their versions on the options list), and in doing so, gives its drivers a real taste of what autonomous hands-free driving could be like in the future. Before I get into the whys and wherefores of Pilot Assist, and what it means for you as a Volvo driver, it's worth recapping where the company stands on autonomy. In a recent conversation with the head of Volvo's safety systems, I learned that the company has no intention of launching a Level 4 (lots of autonomous driving systems, but a steering wheel that the driver needs car any time the car encounters a problem) car. Instead, it prefers the notion of keeping the driver alert and remaining in control. When Volvo goes full autonomous, there won't be a steering wheel to grab. And that's why the first thing to make very clear is that although Pilot Assist is capable of helping with the steering, you should never consider it a hands-off driver. Pilot Assist: how does it work? 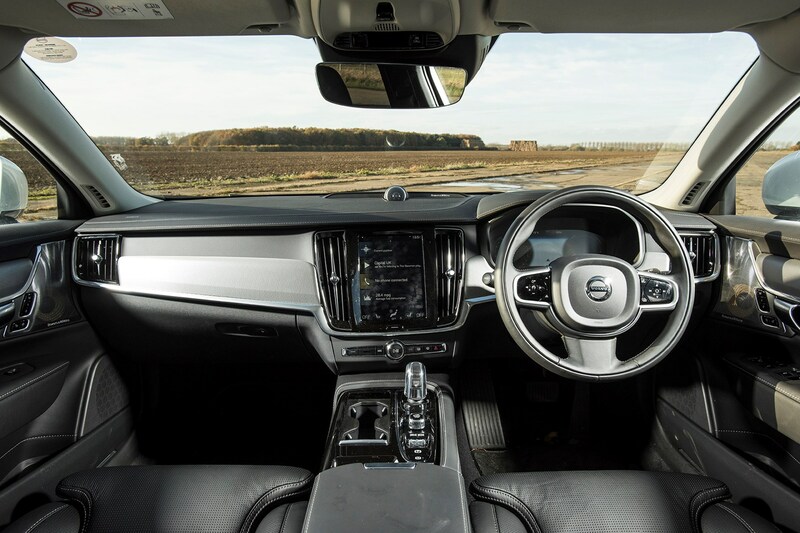 First thing to know is that it's described by Volvo as 'a comfort function that can provide you with steering assistance and help you to maintain the distance to the vehicle in front of you.' In reality, you use it in exactly the same way you would a cruise control system – when you're happy with your speed, set the car running, and take your feet off the pedals. 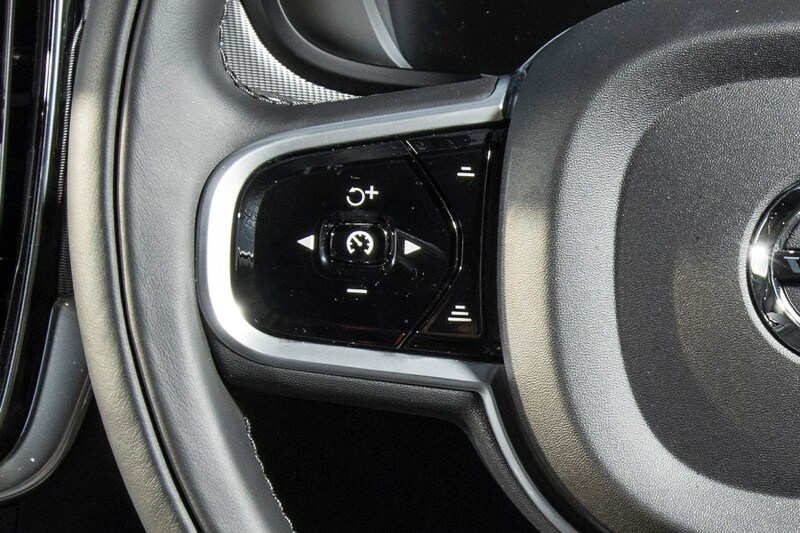 Pilot Assist takes that concept a step further by being more active with the steering. It will maintain your car's position in the lane, and should allow you to relax your steering inputs, as it guides you along your lane. You'll know the car has picked up a lane that it can keep you in, because there's a green tell-tale (below) in the dash that informs you as much. What's Pilot Assist like in use? Like all these driver aids, some people love them, others hate them. A straw poll of the Parkers team is that most of us like Pilot Assist, with one or two interesting exceptions. As the V90's most regular user, I'm wedded to Pilot Assist, as it's been a fantastic aid on long journeys, measurably staving off tiredness. But I would accept that you need to be in the right mindset. You need to be alert of the road ahead, but retain loose control of the wheel, and let the car do its own thing, with you guiding it gently, if you're not happy with its lane positioning. Those who like to maintain control of the car by keeping a tighter grip on the wheel may end up fighting the system – as I say, it's a mindset thing. Pilot Assist attempts to keep your car in the middle of the lane, and will constantly try to maintain this position. Some drivers report that it can get too close to other vehicles on the left or right on motorway lanes, but I've yet to encounter this. Again, this might be down to every driver having their own view of where their car needs to sit in the lane. Most importantly, because it's part of the adaptve cruise control system, there's wonderful 'sneeze factor' that comes with it. A tiny lapse in concentration, while a car ahead jams on its brakes, and the Volvo will pull the car up efficiently. I imagine that has been a lifesaver for a few drivers. To keep things smooth, always try to let the car to find its own position – and in the case of narrow lanes or road works, you might just want to switch it off, and knock back to the standard Adaptive Cruise Control. Conclusion: is Pilot Assist a taste of autonomy? Yes and no. Once you're tuned in, and are at one with the system, it genuinely makes motorway driving a whole lot more restful. It's at its best on modern tarmac with good paint and light traffic, though. Meet that criteria, and you really can let the car take the strain, while you concentrate on the traffic ahead. I'd never take my hands off the wheel, but sometimes I find myself holding it so gently that the system will nag me to get my hands back on the rim. That generally happens after 20 seconds or so of zero driver input. 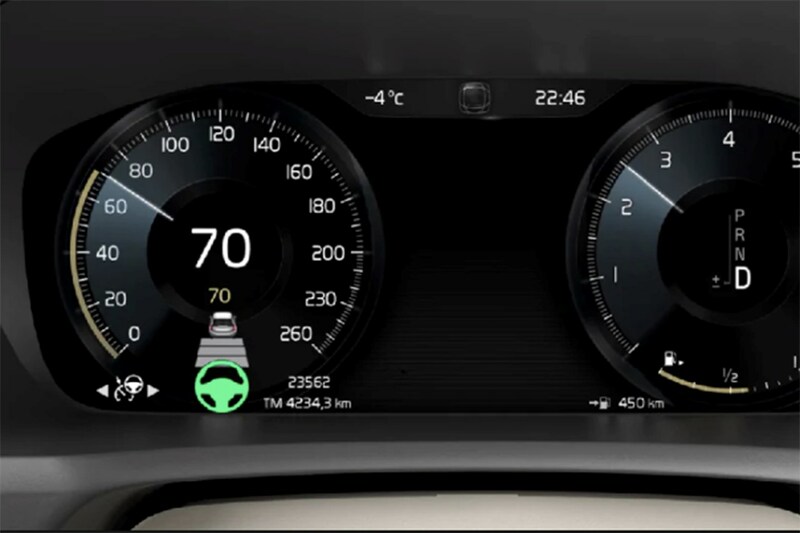 It's always worth noting that other than the green tell tale on the dash, there's no warning if Pilot Assist has lost acquisition of the lane ahead. For those who get it, this is most definitely a worthwhile addition to the V90. With 400hp to play with, there's plenty of straight-line performance to play with, but is this the main attraction of the V90? Can it handle the power, and is it comfortable enough as it batters motorways into submission? Volvo V90 T8 – what's it all about? One of the main questions I asked at the beginning of this long-term review is whether this is a performance estate that happens to be a hybrid – or an eco car that's capable of being very rapid. In reality, and after approaching 3,000 miles on the road, I'd say that it's both. And neither. If that makes sense. First thing's first – the V90 T8 shares its drivetrain with the XC90 T8, so uses a 316hp 2.0-litre four-cylinder turbocharged engine that's allied with a 10.4kWh battery pack which is good for 84hp, and can be charged up in two and a half hours. Its claimed electric range is 28 miles, and as such if you're able to run it on battery-only for your commute, it'll cost you a couple of quid a day, and you'll not need to fill it with petrol. That's the eco side of the V90 covered, so now let's get on to the more interesting part of its makeup – the performance. I've already commented on how you'll struggle to find rival estates with similar power. And that list of alternatives drops to zero if you take its plug-in status into account. In short, the V90 is your only option, if you want this power and a plug-in. How does the V90 go, then? Rather well, actually. With juice in the battery pack, throttle response and initial acceleration is attention grabbing. Considering the V90 weighs more than two tonnes, a 0-60mph time of around five seconds is crazy-fast. Beyond that speed, it's more impressive, though – we've not fully tested it yet, but the impression we've picked up on our runway is that it's relentless beyond that in a way you'd have needed something like an Audi RS4 to emulate just a couple of years ago. What's even more impressive are the overall levels of refinement of the V90 as it dispatches its sports car-baiting performance. With the combined power of the petrol-electric drivetrain, it never sounds or feels strained. Instead, it generates an curious four-cylinder back-beat overlaid by a supercharger-like whine that adds genuine interest. It doesn't sound melodious like an old-school V6 or V8, but it's rewarding, nevertheless. Of course, if you make liberal use of its assertive acceleration, the 25-ish miles of battery life are rapidly depleted. And even if you engage the battery-charge function, it won't recharge as quickly as it depletes. But wind back your enthusiasm, and it's unlikely you'll be left floundering with 'just' 316hp for very long. So, it's fast… but is it engaging? It probably won't surprise you to read that it is not. In dynamic mode, it's responsive and quick to answer your inputs, but in default hybrid mode, it feels artificial and somewhat isolated. The biggest criticism of this car seems to be reserved for its brakes. I have dialled into them and don't think about any longer, but other drivers have commented quite unfavourably about them. The problem comes from them being hooked to a battery-regenerative system, and the transition from regen to pedal-on-disc is too distinct. This makes the pedal feel inconsistent. However, the stopping power is excellent once you get used to this quirk. Does it handle like a ship in a storm? You can't escape the fact it's a two-tonne car. But despite its porky kerbweight, it handles tidily enough, and is never cause for concern. In slippery conditions, the added security of the battery-assisted four-wheel drive system keeps it all on the straight and narrow. Our car has adaptive damping with rear air suspension, and that allows it to maintain a modicum of serenty on B-roads as long as the corners aren't too sharp. As things get more demanding, you'll not escape the body roll, which isn't excessive and reasonably controlled. But it's impossible not to conclude that the V90 is most at home on sweeping A-roads and motorways, where it remains delightfully unflustered. So, is it a performance estate or a quick eco car? No question – it's a performance estate. But one that's not going to set the world alight dynamically. Instead, it wields its big stick to make light of long-distance journeys, and allow the driver to come aways from a big stint at the wheel unflustered and ready for more. If you want a pure driver's car, look elsewhere, but then it's unlikely that anyone looking for a driver's car would come knocking on the door of the V90 anyway. I'm enjoying the duality of the experience. I'm increasingly kicking back on my commute and pushing it along gently on battery only (I'll report back on that anon), but revelling in its power and poise on fast weekend runs north. And right now, the V90 T8 is peerless in that respect. I can plug in at home and work (which makes me luck enough for this approach to suit my lifestyle) and effectively run it on pennies during the drag of the commute. But at the weekend, it transforms into a powerful and assured petrol-powered long-distance cruiser. That doesn't half make for interesting diversity in my fuel returns. So, we know the V90 is fast, refined and potentially economical (when commuting), but how comfortable is it on longer journeys? Volvo V90 T8 – is it a good long-distance cruiser? Given that this car's main USP is as a supremely-competent mile muncher, and one that's been designed to keep its driver as relaxed as possible for the longest amount of time, I thought it would be a great opportunity to discuss this in detail. The seasonal break-up is always a good opportunity to put a car to the test, with multiple relatives and friends to visit – and in the case of my complex life, that often involves driving from one end of the country to the other on a regular basis. The good news is that the Volvo V90 passes the long-distance test with ease. 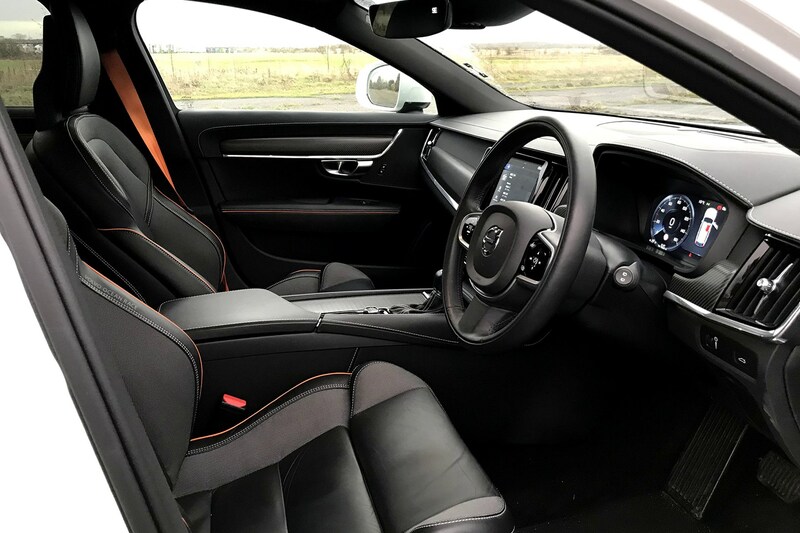 The first impressions are that the dash layout is clear and logical, and although it took me a little while to familiarise myself with the Sensus infotainment system's screen, everything is simple and stress-free to use. I'm still not a fan, but as Apple CarPlay works seamlessly, I'm wedded to that system instead of Volvo's own idiosyncratic set-up. The driver's seat is well shaped and electrically adjustable in a myriad of ways, but if I were being hyper-picky, it could do with another inch or so of rearward travel. 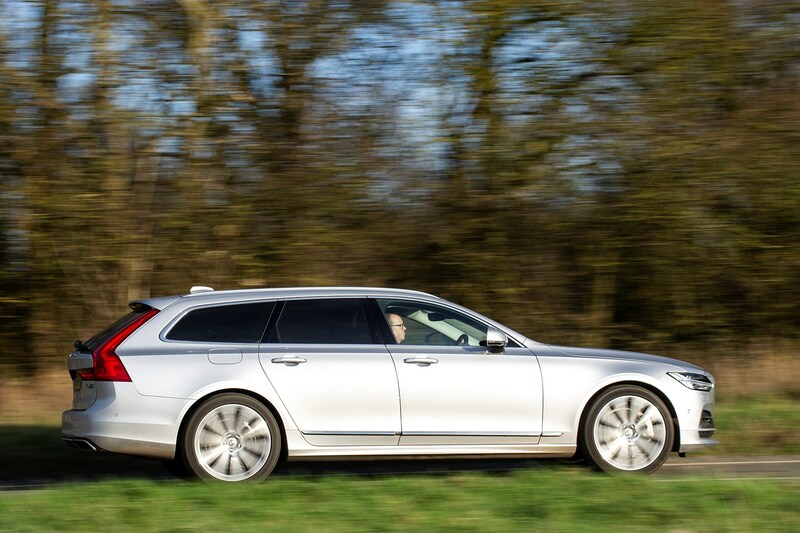 Being a refined and well-insulated petrol hybrid means that mechanical intrusion is kept to a minimum, from silent getaways to hushed cruising, the Volvo's been tuned to keep the driver refreshed and happy. 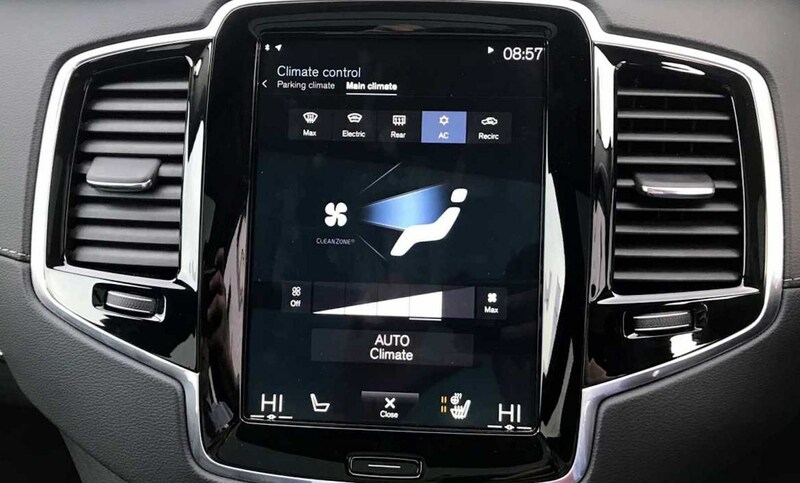 This thoughtful attention to detail extends to the Volvo's climate control system, which keeps the driver fresh – on account of it's simple set-up and CleanZone set-up. How does the Volvo V90 stack up in a 500-mile day? Very well indeed. Okay, so the fundamentals are there: the driver's seat is firm and supportive, the controls are well set-up, and the air quality is always top notch. But once underway, these merely form firm foundations for excellent long-distance well-being. Over Christmas, it covered a couple of 500-mile days (Cumbria to the Midlands and back), and I didn't raise a sweat. If only it would do more than 390 miles on a tank, though. As per usual, it's worth me mentioning that the T8's 'stout' mid-range acceleration makes light work of overtaking, while its long gearing means that it settles down to a near-silent cruise. A big factor in its comfort are the heated, massaging seats, which offer a number of programmes to reinvigorate tired back muscles – that really does work. Finally, I'll also make mention of Pilot Assist, which plays a big part in the car's long-distance ability. On the motorway, it adds a useful dose of 'sneeze factor', and allows the car to take the strain in busy traffic. Especially in traffic jams when it all-but takes over from you. 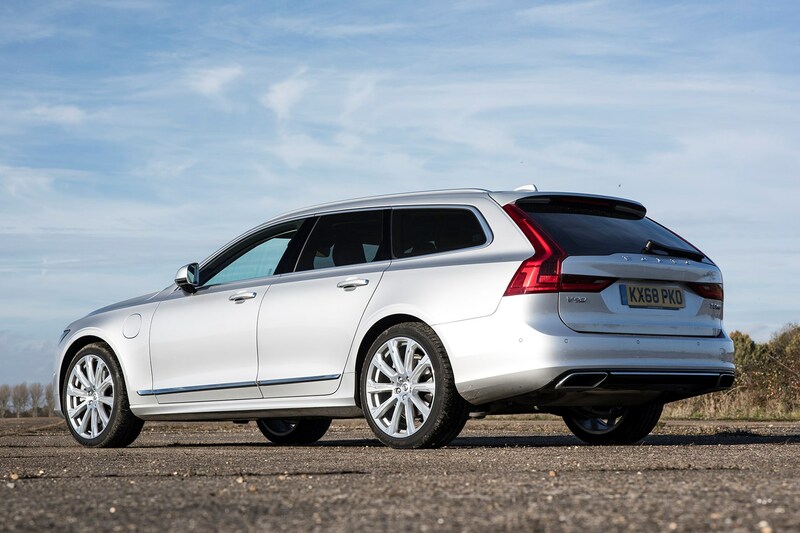 In all of this, I'd say that you probably have little advantage over a diesel-powered V90 – that has equally long legs, is refined at speed, and it goes a whole lot further on a tank of fuel. So it's a good job, I've spent some time in a V90 D4 diesel by way of comparison for you – I'll feed back my thoughts and findings on the whole diesel vs petrol question in the next update. Keith likes long journeys, and the problem with his V90 T8 is that it's a thirsty beast, and its range isn't brilliant. 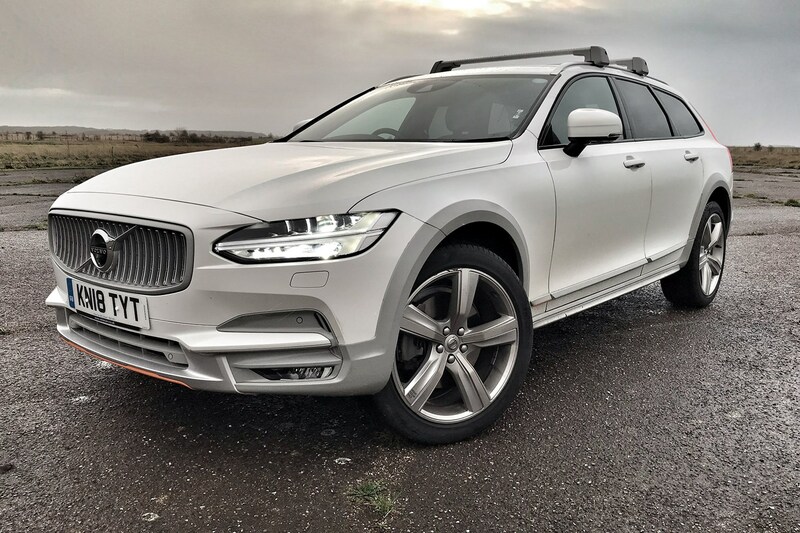 Time, then, to compare it with a V90 Cross County in diesel D4 form – does it stack up better than a petrol hybrid? Volvo V90 D4 – tempting us out of a hybrid? As you'll have already read, the Volvo V90 T8's ability as a long-distance cruiser is pretty much incomparable. The massaging and heated seats are magnificent, the ride is firm but well damped, and the overall levels of refinement are excellent. In addition to this, the Bowers and Wilkins in-car entertainment set-up is fantastic for those who love their music immersive, and beautifully reproduced. However, I like to crack on once I'm on a long journey, and one thing that annoys me is a car with a short range. Of course, this is all relative because after six months in a Volkswagen e-Golf, with its c.120-mile range, the 350-or so I can realistically squeeze out of the V90 isn't too bad at all. But in reality, I'm constantly annoyed by cars that won't crack 400 miles on a tank – and in this age of shrinking fuel tanks, it's becoming a more regular occurence. My V90 is averaging 33mpg currently, and this isn't too bad at all considering its performance. But on a long run, with the battery flattened, and running in self-charging hybrid mode, it'll struggle to beat 30mpg. And as we're limited to a 50-litre (that's 11 gallons for pre-millennials), it's not going far enough non-stop for my liking. Diesel would definitely fix that. 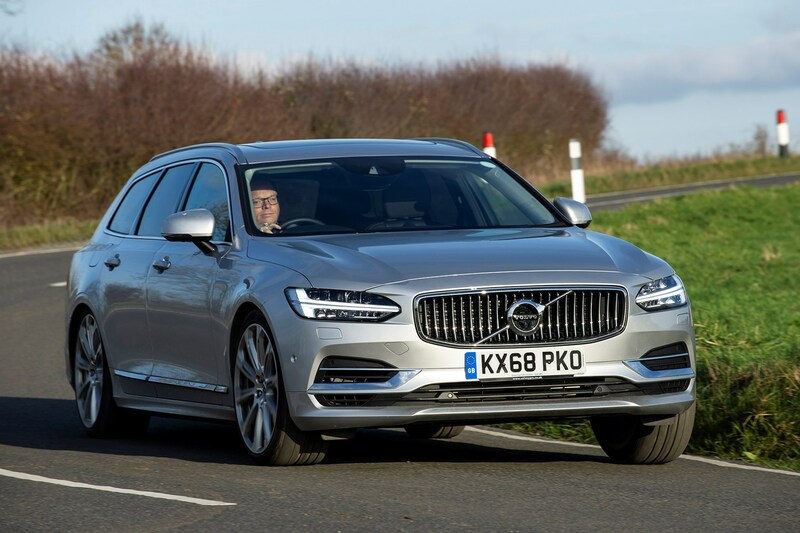 How does the diesel V90 compare with the hybrid? 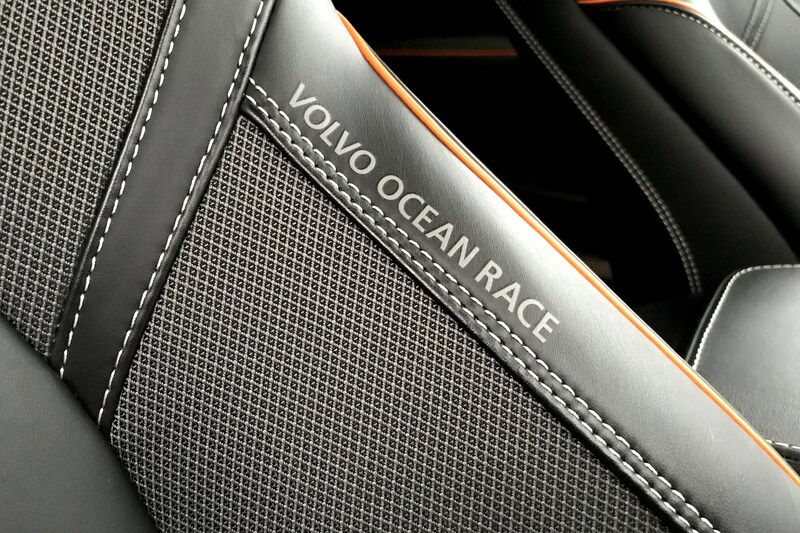 Taking delivery of the curious Ocean Race edition, and jumping in for the first time is an interesting experience. Volvo interiors are classy places to spend time these days, but they can be a little monochrome. That's not the case here – orange seatbelts add an unusual splash of colour to a very familiar place. We're lacking some of the T8's luxury equipment, but overall, it's far from poverty spec. Firing it up is a rude awakening after months in the hybrid. The diesel idle clatter is inescapable, and although it settles down reasonably well once you're underway, it's still lacking in refinement compared with its hybrid sibling or its best rivals. Being the Ocean Race based on the Cross Country, it's a given that the ride is better, and it rolls more in bends thanks to raised suspension. Once on the motorway, it hunkers down nicely, though, and other than the wind rustle from the roofbars, it's pretty much as quiet as the hybrid. As a long-distance cruiser, there's little in it. Yes, I miss the overtaking punch of the T8, but the diesel's far from lacking in outright pace. In addition, it is blessed with oodles of mid-range punch to play with. The big difference is expected – on a 1,000-mile motorway-packed weekend, the D4's 40+mpg potential gives it nearer 500 miles to play with on a tank. And when you're driving overnight, that's a very positive aspect. 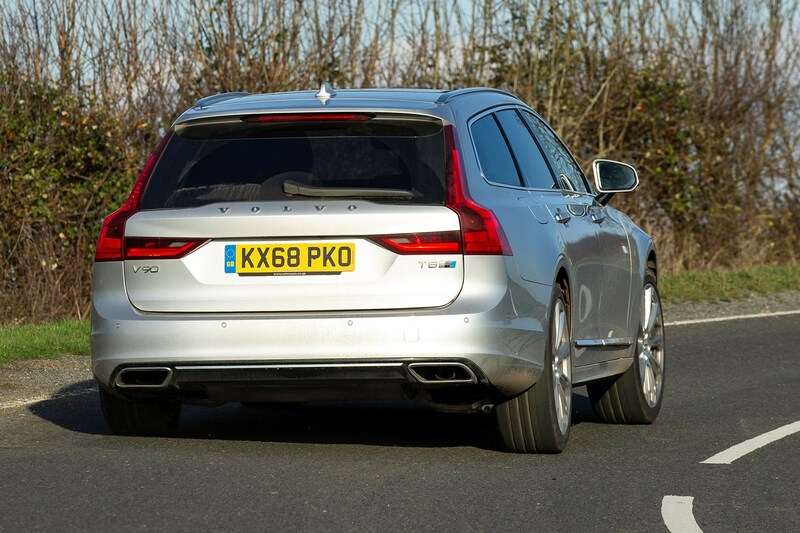 So, would I ditch the hybrid V90 for a diesel? I won't beat around the bush here: definitely not. However, that's my very subjective opinion on the matter. I'm lucky enough to have my fuel expensed, which probably stands true for most V90 users. So, the fuelling costs for long-distance driving (it cost 20% less to fuel over 1,000 miles) aren't as much of an issue as they might be. In addition, the benefits of a PHEV on a local commute are undeniable. But for those who are closer to their fuel expenses, and who cover more than, say, 20,000 miles a year, then the diesel makes a huge amount of sense. I could easily see why so many people on the Parkers team were more than happy to take the D4 over my T8.